Good question. Well, if you are a Software Defined Radio enthusiast like me, this is an excellent tool for testing the robustness of radio protocols on various embedded devices. Since this piece of hardware transceiver with the modulation, etc. taken care of for you, this is the perfect device for helping with your every day exploration of radio signals. Enough chit-chat. Below I have mapped-out how I “made” my un-flashed CC1111EMK into a fully-functional RFCat dongle. It cost me about $80 going this route; saving a little bit of cash, learning a lot through trial and error, and having the ability to re-flash my device again when a RFCat firmware comes out made this venture worth it. 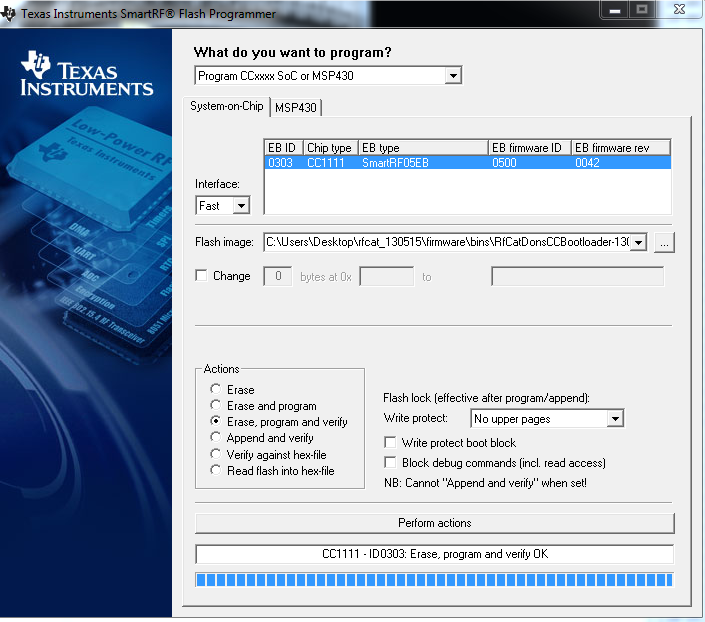 Make sure that the Chip Type appears as well as the EB type after loading up your flash programmer. At this point, we need to navigate to your root RFCat folder and point “Flash image” to the following file: rfcat_130515\firmware\bins\RfCatDonsCCBootloader-130515.hex and under “Actions”, select “Erase, program and verify”. Click “Perform actions”. Repeat the above with the second file after you hear Windows reconnecting your device. At this point, your dongle should still have a solid green light. Flash image: rfcat_130515\firmware\bins\RfCatDons-130515.hex but this time, be sure to select “Write protect boot block”. Click “Perform actions” once again. 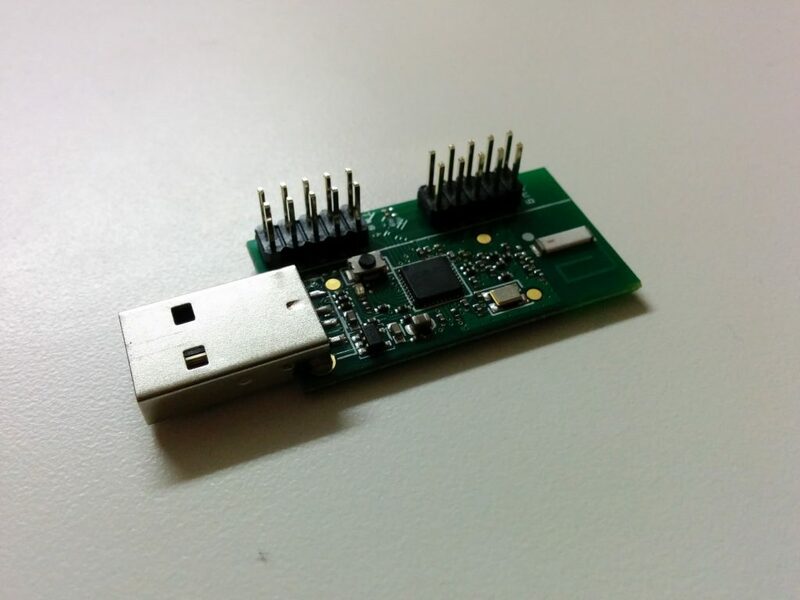 Remove the debug cable from the now flashed RFCat device (CC1111EMK) and remove it from the USB as well. 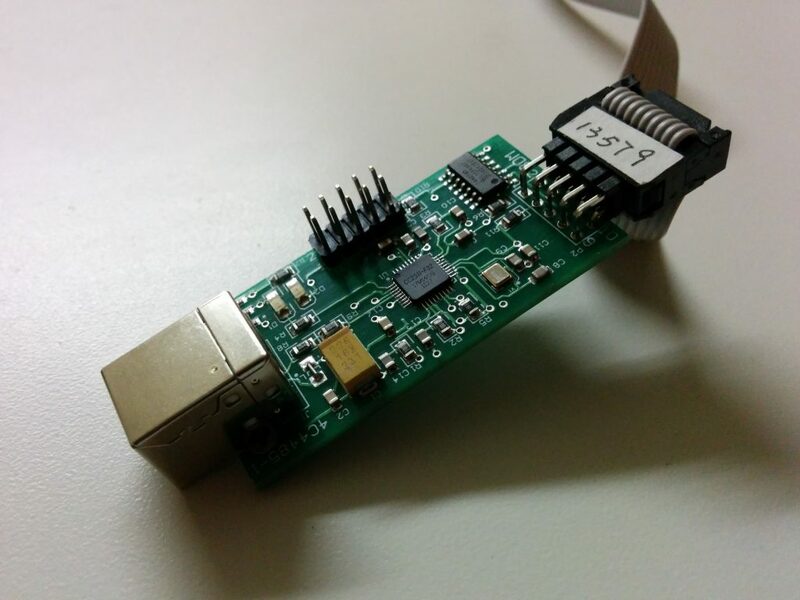 Make sure you have python-usb and libusb installed on your box. You can perform this installation on OSX by running brew install package_name_here or apt-get install package_name_here for Debian-based distributions of Linux. If you would like further details on an example project while using RFCat, head over to Andrew’s blog — he has a great write-up using RFCat and harnessing Python’s power! Also wanted to point out that I could not have done this without the help of user “poutine” and “AndrewMac” from the Freenode IRC in channel #rfcat. Thanks again! Assuming that everything appeared and worked up to this point as described, I can think of two things that it could be: try a different USB port on your box, or maybe one of your wires is mixed up for the resetting portion of the SmartRF? I went through an issue where I had my order backward due to not very good markings on the board. Let me know if you have any other details. hi I can use dis usb abaut home alarm system hack?